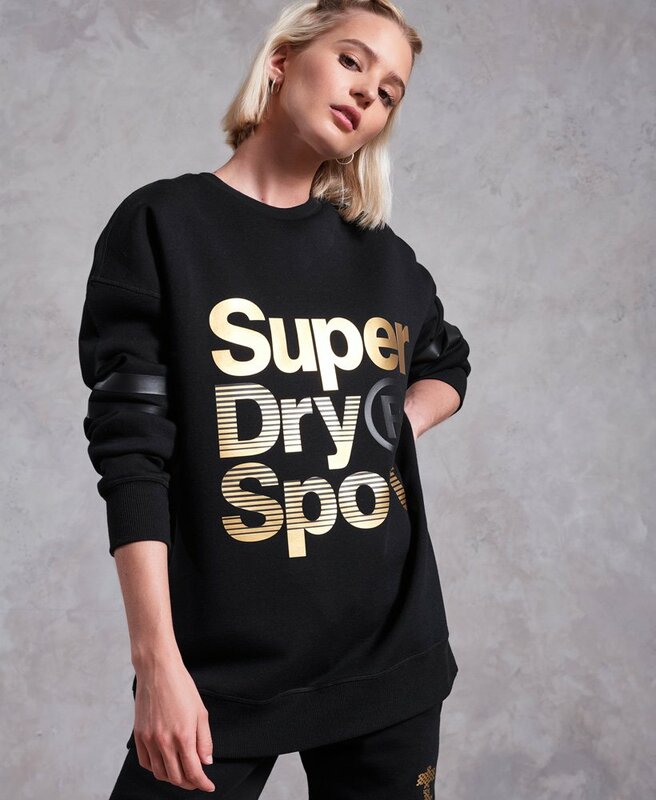 Superdry women’s Gym Tech gold Supercrew jumper. This crew neck jumper is the perfect layering piece to wear pre and post workout. The Gym Tech gold Supercrew jumper features thermal properties, a metallic Superdry Sport logo on the front and a stripe design on the sleeves. This comfortable jumper is finished with a number graphic on the back with metallic detailing.